OMG Posters! » Archive "Cactus Bunny" Art Print by Joe Ledbetter - OMG Posters! The second entry in Joe Ledbetter’s “Mutant Bunny” series just came out yesterday. 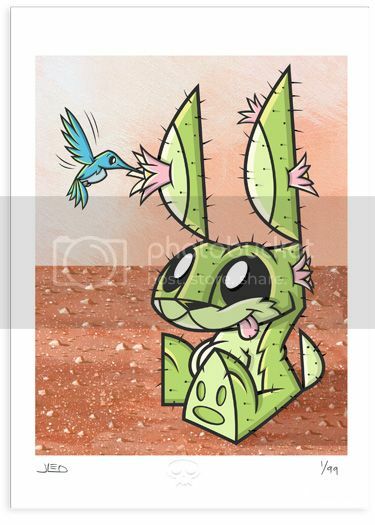 “Cactus Bunny” is a 5″ x 7″ giclee, has an edition of 99, and costs $40. Visit JoeLedbetter.com.